Scroll down for the photo gallery of the flora in this habitat. The spring lushness and delicacy of the deciduous oak habitat makes it perhaps the most widely beloved in Jordan. 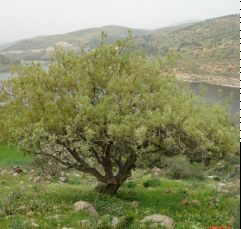 Its signature species, Quercus ithaburensis, is Jordan's national tree. Ironically, the very popularity of oak habitats attracts hordes of picnickers on spring weekends who, along with livestock, denude the country's remaining oak areas of spring annuals before seeds can drop. 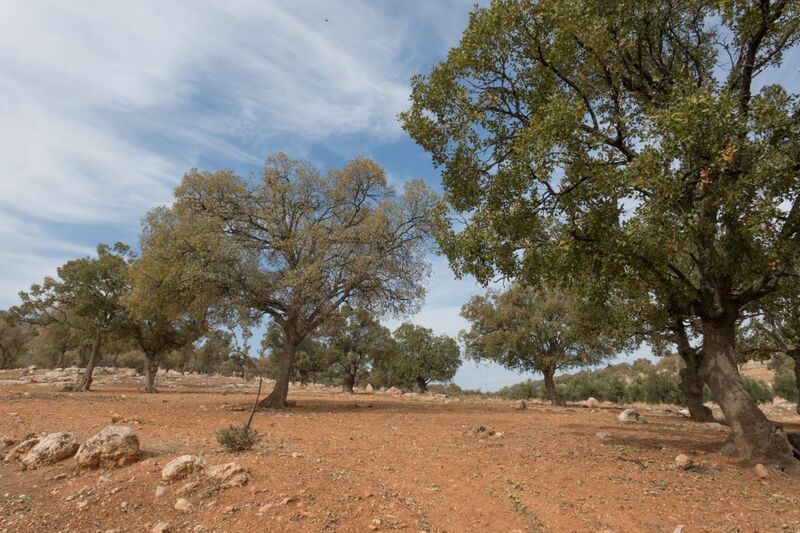 Oaks used to cover rich terra rosa land that has long been cleared for agriculture or was at precisely the elevations most hospitable for human habitation. The expansion of cities and towns has eaten away huge tracts of oak habitat in the country. 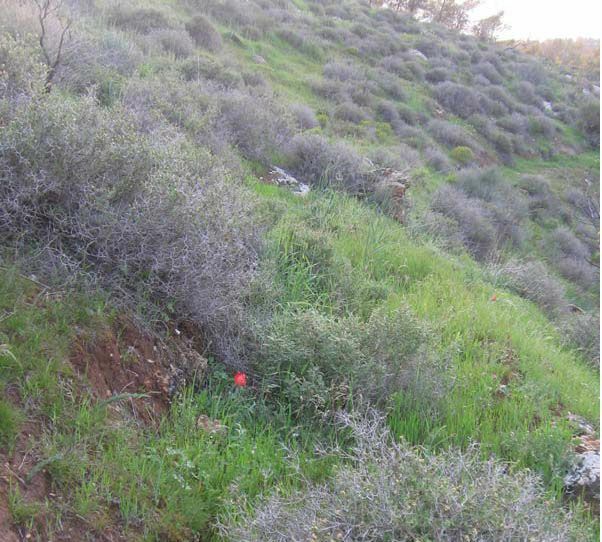 Much of the Royal Botanic Garden in Tal Al-Rumman was once oak forest, as indicated by the presence of some remnants of individual trees and the current predominance of Sarcopoterium spinosum is an indicator of oak habitat degradation. It has been destroyed over hundreds of years. 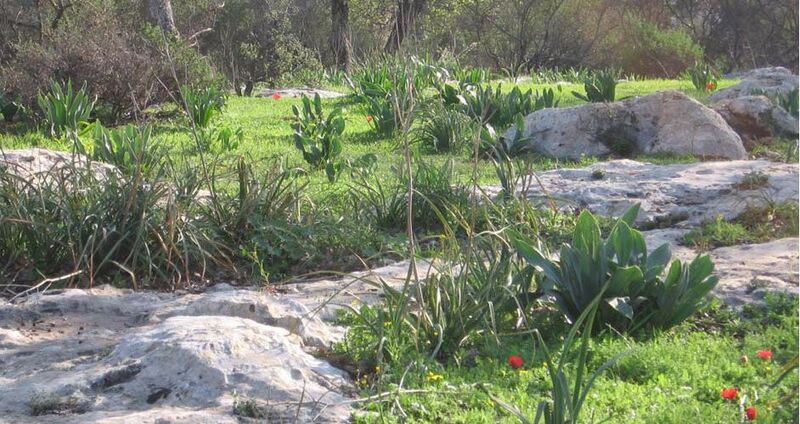 Our oak habitat re-creation zone in the Garden is at the highest elevation, 400-485 m above sea level, where patches of terra rosa soil can be found over a limestone substrate. Part of this area was reforested with pine some years ago, but remnants of the native oak / pistachio association can still be found. To find a home habitat model for our Deciduous Oak Forest Habitat, the RBG botanical team searched over hundreds of kilometers for an intact habitat at roughly the same elevation and exposure. When local experts sent us to visit "oak habitats" containing old trees, they generally found a few trees in long-farmed areas, and sometimes only a single ancient tree in a field. The most intact natural oak habitats were in relatively inaccessible areas at high elevations, and even these were sorely overgrazed. 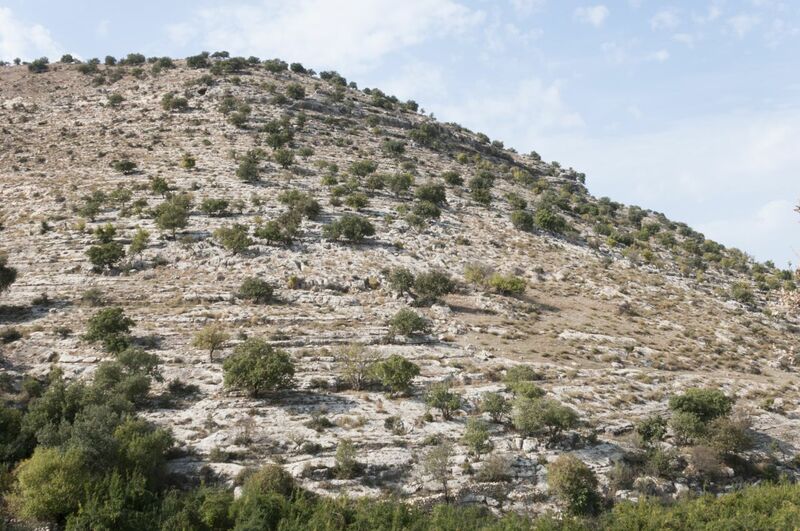 After visiting a dozen or more potential sites throughout northern Jordan, the RBG team settled on a region called Shu'eleh, on the slopes of the Yarmouk Valley, to serve as the home habitat. 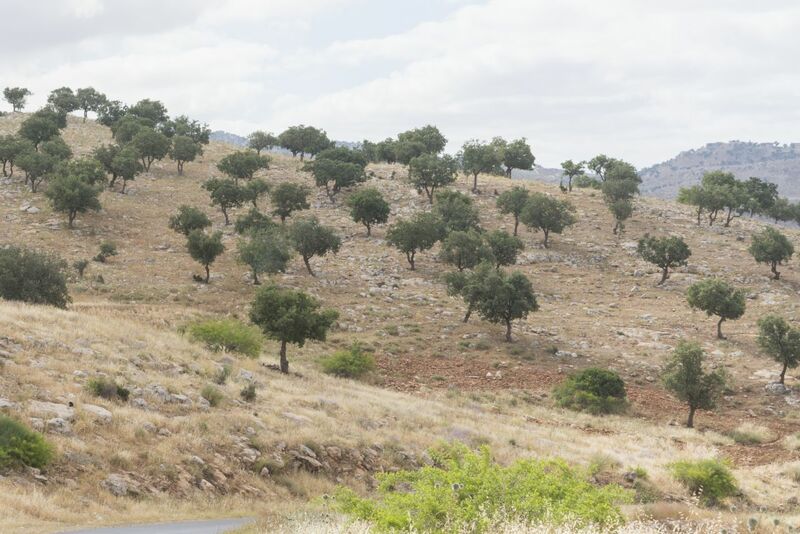 Most of the forest is protected by law through the presence of Yarmouk Forest Reserve. 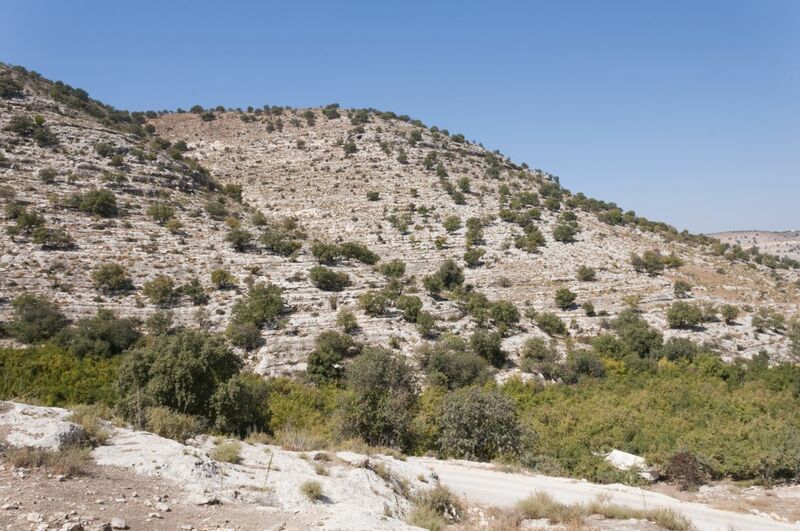 Also,The specific area surrounds an Islamic maqam, or holy site, commemorating the Battle of Yarmouk in 636 AD. These facts, and the presence of the army at the nearby border, combine to protect the area to some extent, as it is not a through-route to anywhere. 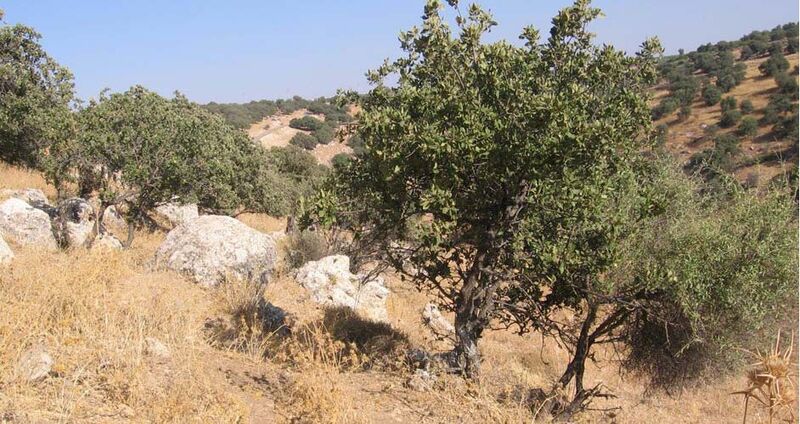 In Shu'eleh, Quercus ithaburensis is joined by Crataegus aronia, or Spiny Hawthorn, and Amygdalus coummunis, the wild almond, as well as a host of understory shrubs and grasses that are also present in Tal Al-Rumman. 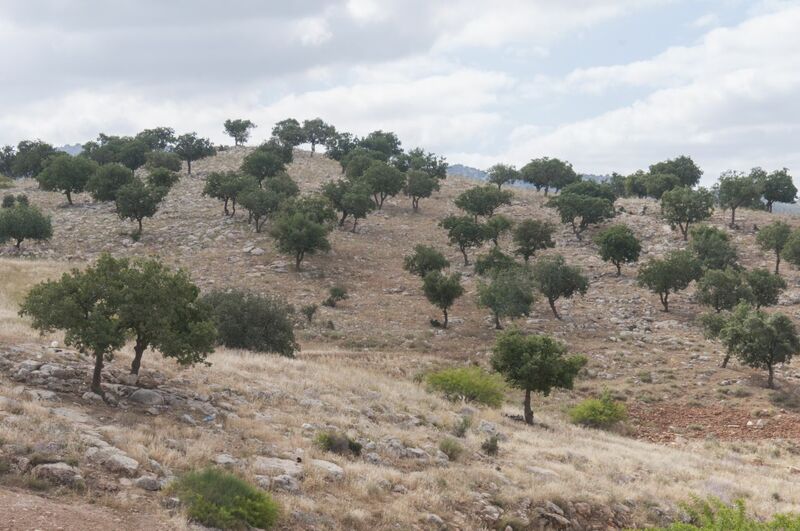 But most importantly, at 385 m, Shu'eleh is the only quality Quercus ithaburensis habitat found at an elevation below 800 m asl. 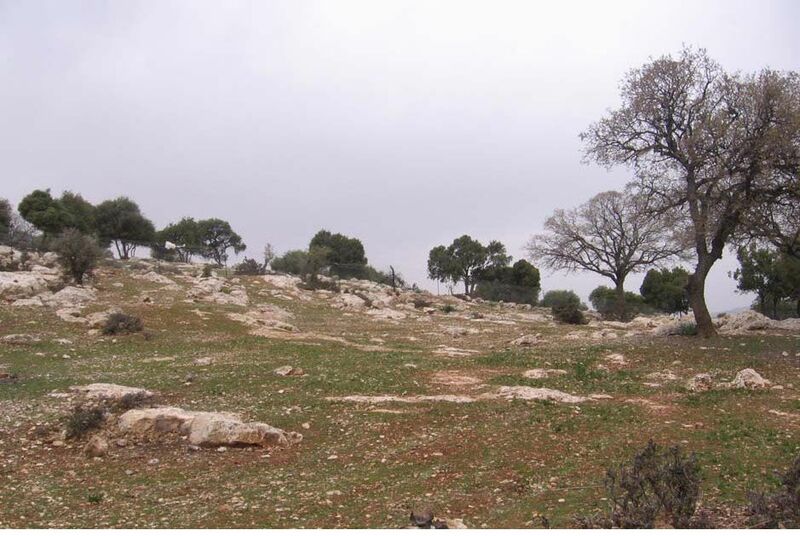 Shu'eleh has a northern exposure at an elevation and precipitation rate similar to those of Tal Al-Rumman. In the gallery below, you'll find pictures and information for some of the plant species in our Deciduous Oak Forest Habitat. More entries will be added over time. For a list of the leading species that will make up the habitat, click here. Born to be wild... and native! Quercus ithaburensis is the national tree of Jordan and the signature species in the Deciduous Oak Forest Habitat at the RBG.